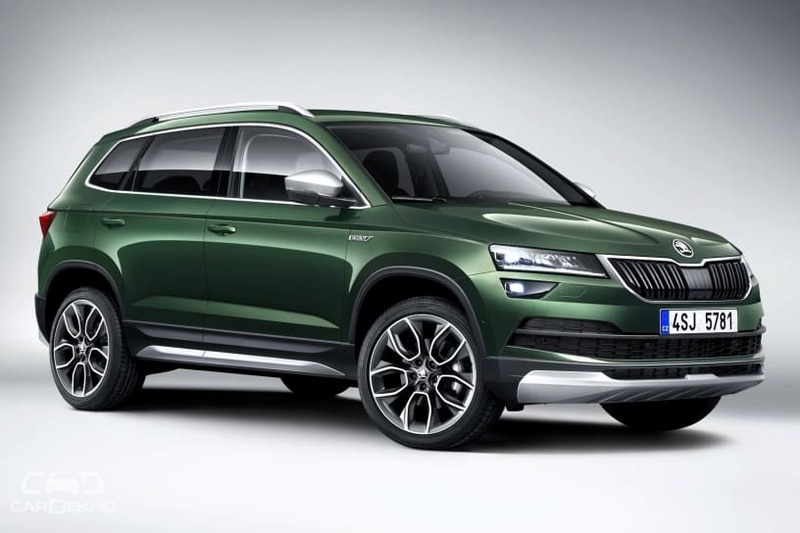 Skoda has unveiled an off-road-focused version of its compact SUV, the Karoq. Called the Karoq Scout, it not only gets exterior elements that make it look more butch but also four-wheel drive as standard. On the inside, the Scout gets new seat covers with black-brown contrast seams and embroidered ‘SCOUT’ lettering. The standard Karoq gets all-black seat covers.